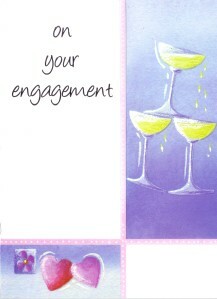 Greeting Inside: The news of your Engagement is very good to hear, Congratulations to you both and wishes most sincere. 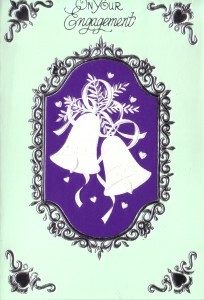 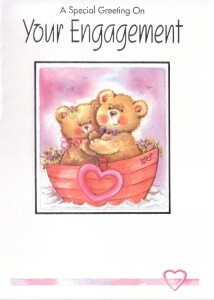 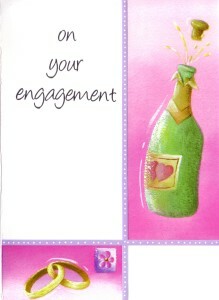 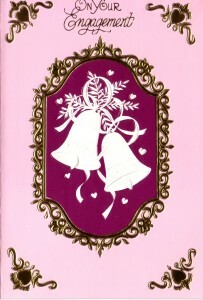 Greeting Inside: Here's engagement wishes for the two of you may each hour of the future see all your dreams come true. 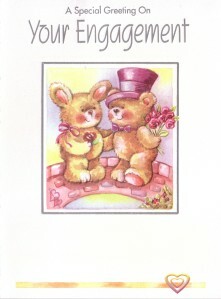 Greeting Inside: Now you are Engaged may both of you find each future moment's the wonderful kind.